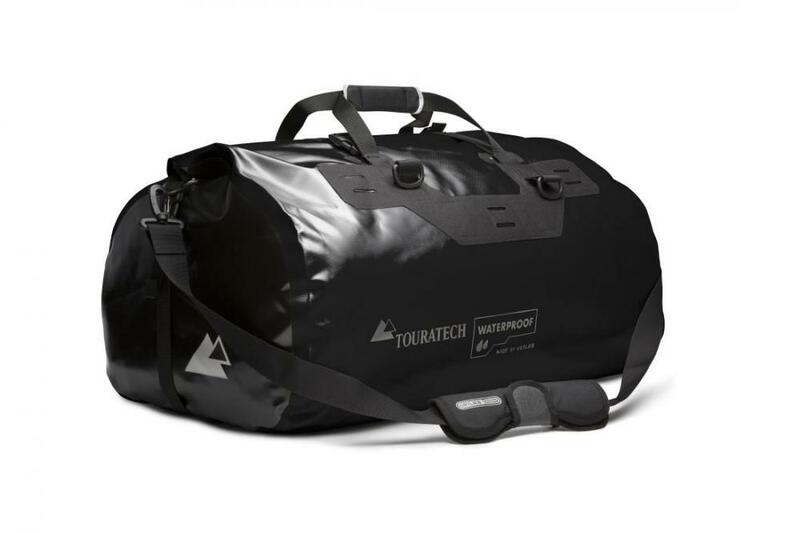 Drawing from countless miles of adventure touring experience, Touratech has collaborated with Ortlieb to design the perfect motorcycle dry-bag. 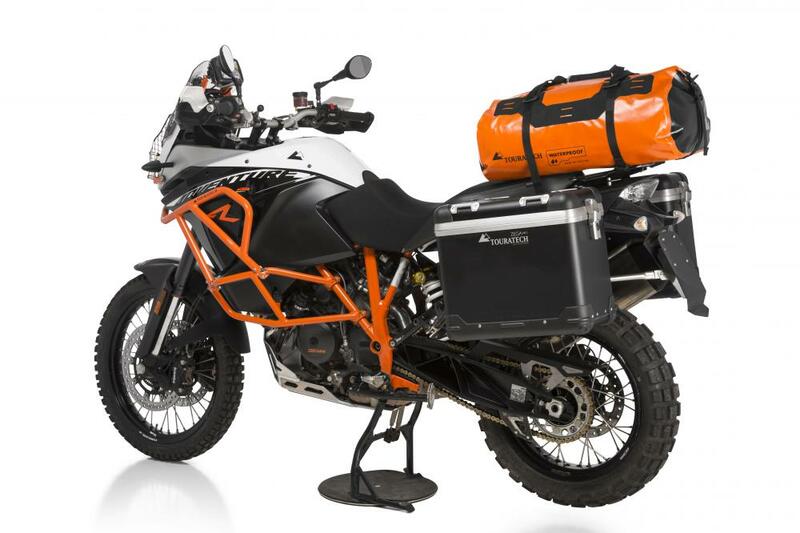 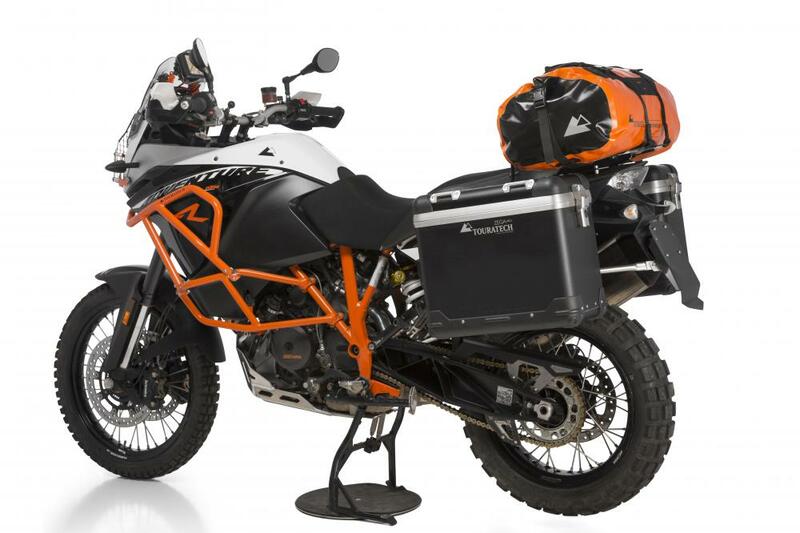 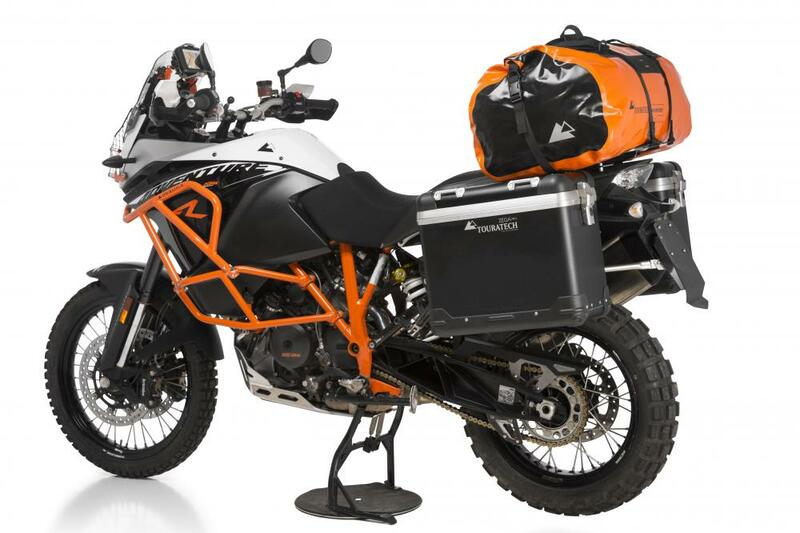 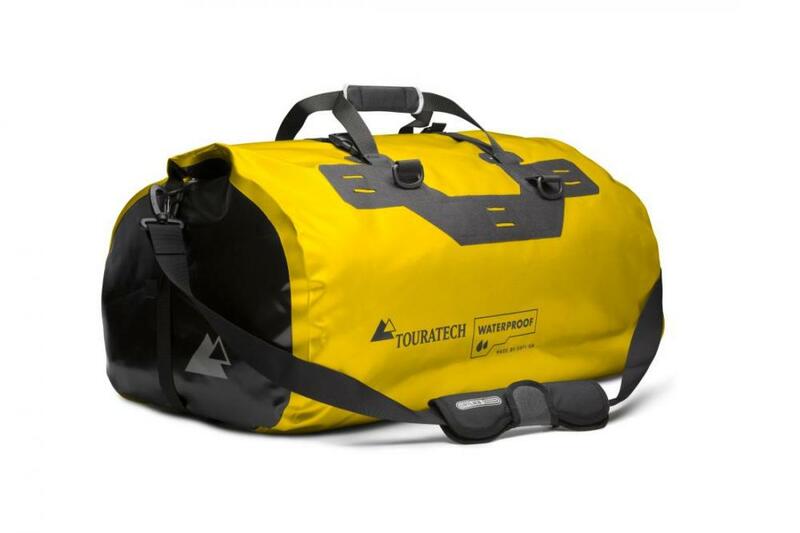 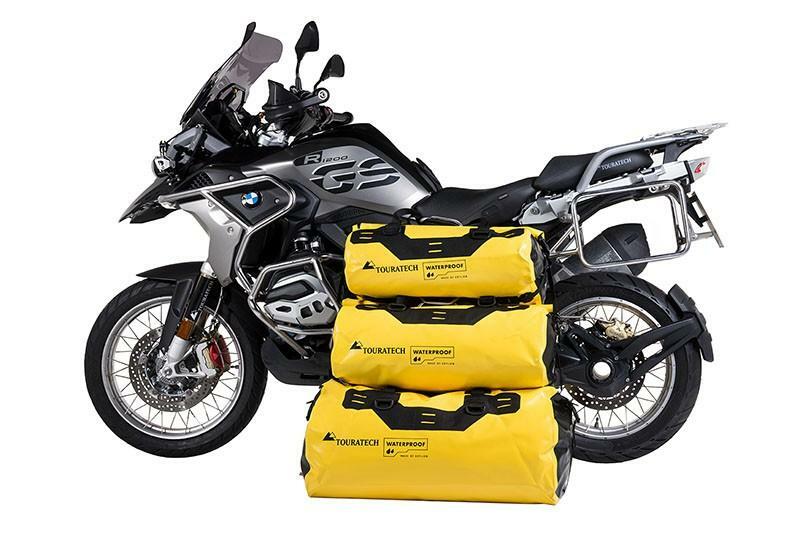 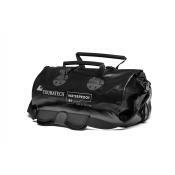 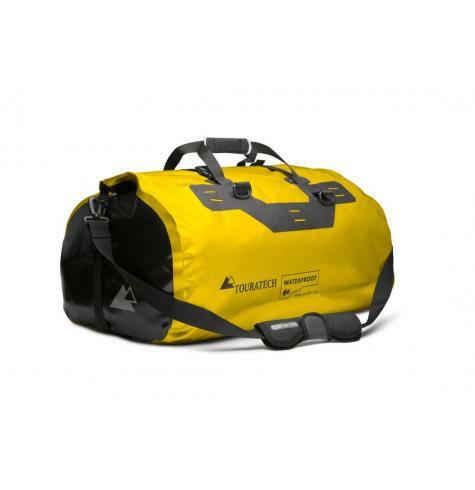 Combining many of the features we love in a travel dry-bag, and adding many that were missing in current designs, the Touratech Adventure Dry Bag is the ultimate in waterproof luggage for your motorcycle. 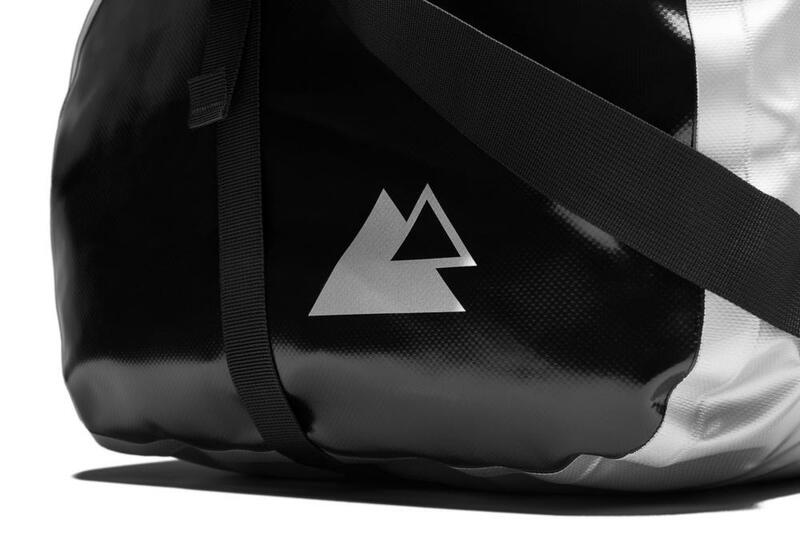 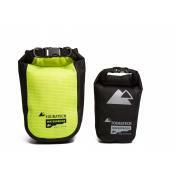 The Adventure dry bag is available in three different sizes, and seven different colors to meet every need and preference. 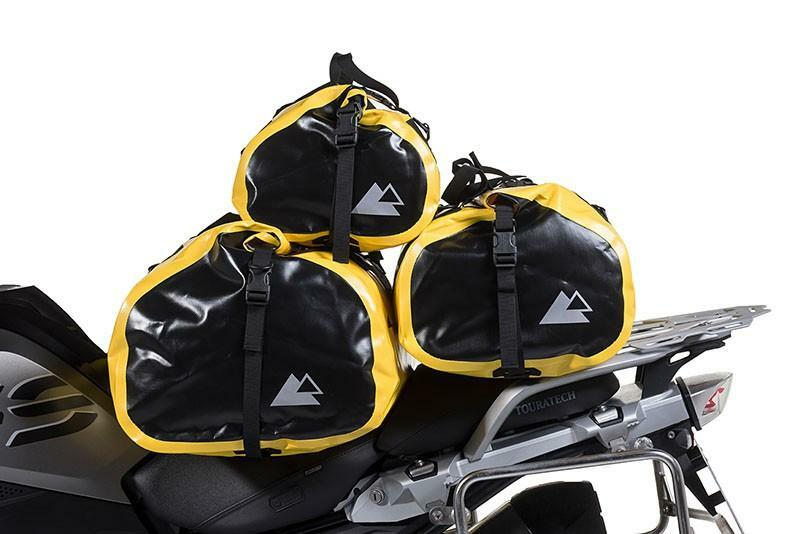 Bright 3M reflective details add much needed visibility to the back of the motorcycle when riding at night or in foul weather. The full-length roll-down closure makes the dry bag a breeze to pack and un-pack, and the compression straps allow you to mimize its packed size. 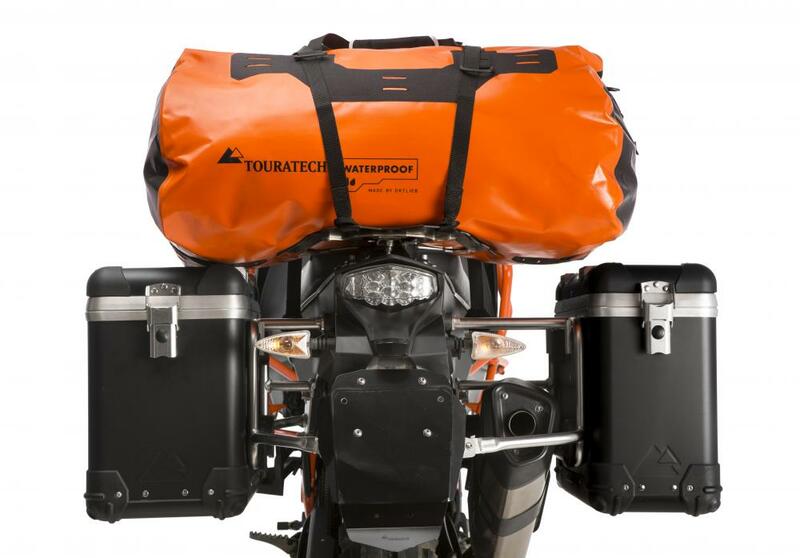 Strong nylon tie-down loops give you a secure place to run your straps through to firmly attach the bag to your motorcycle. 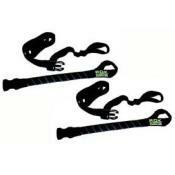 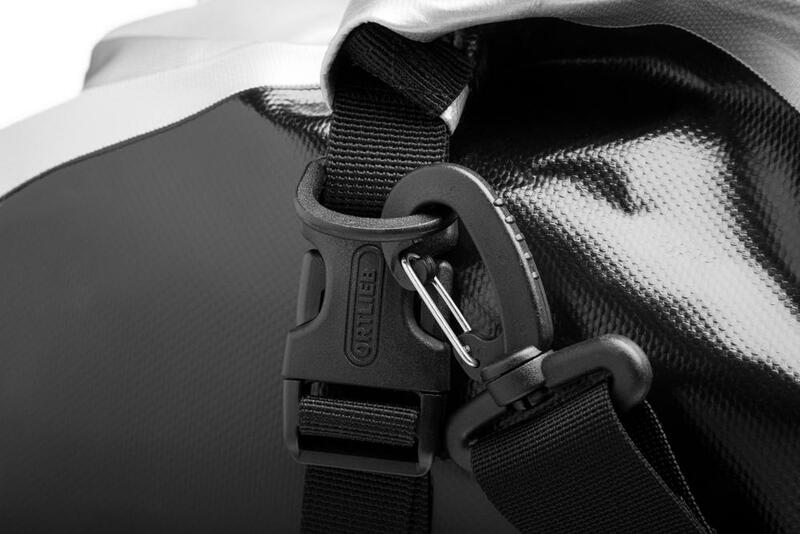 We recommend adjustable ROK Straps. 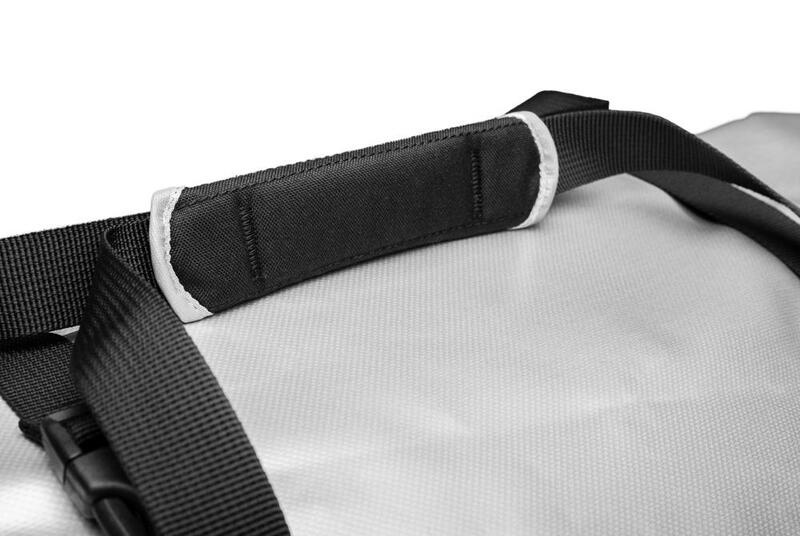 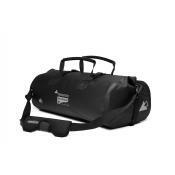 Padded carry handles, and the included padded shoulder strap make the bag easy to carry when it's off the bike as well. Reinforced tie-down points sewn into the top of the bag give you a place to lash down additional small bags and increase your storage capacity. 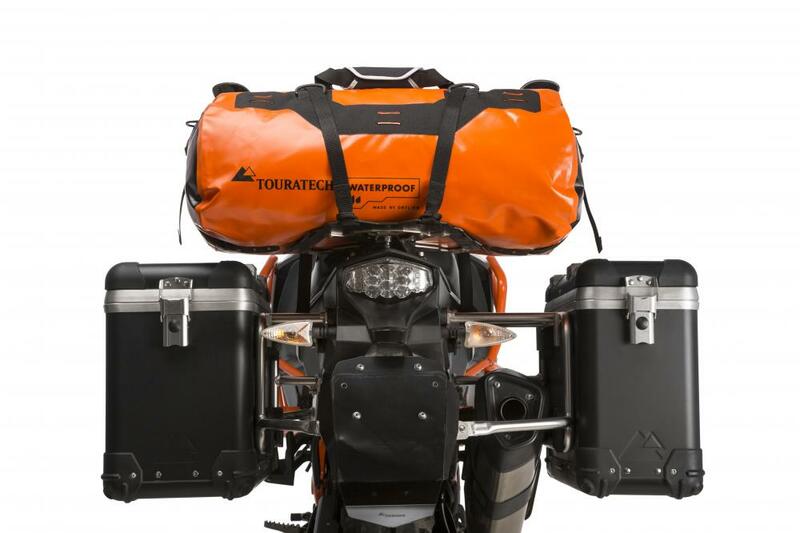 The Medium (31 Liter) size is great for rear racks, or the tops of panniers and topcases. 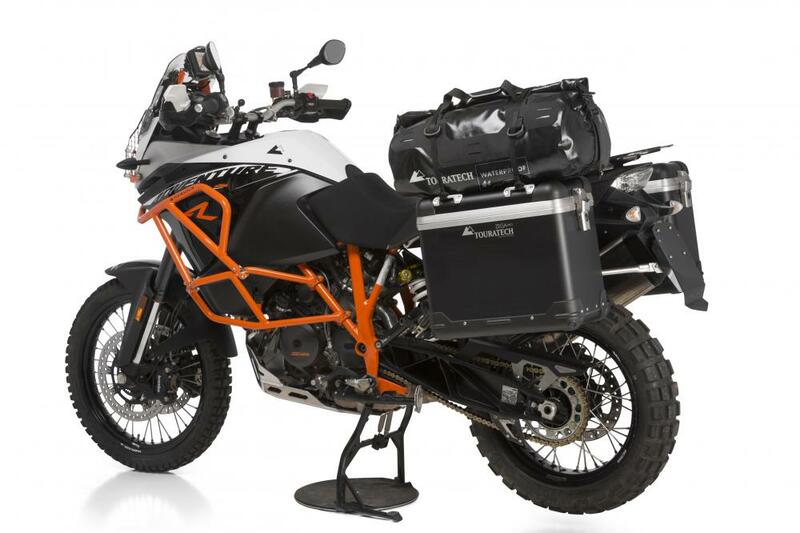 The Large (49 Liter) and XL (89 Liter) sizes work well lashed to rear racks or across the passenger seat of the motorcycle. 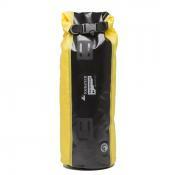 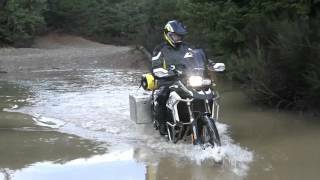 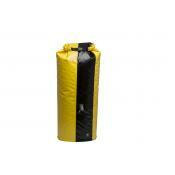 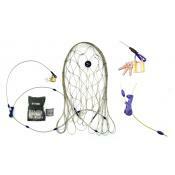 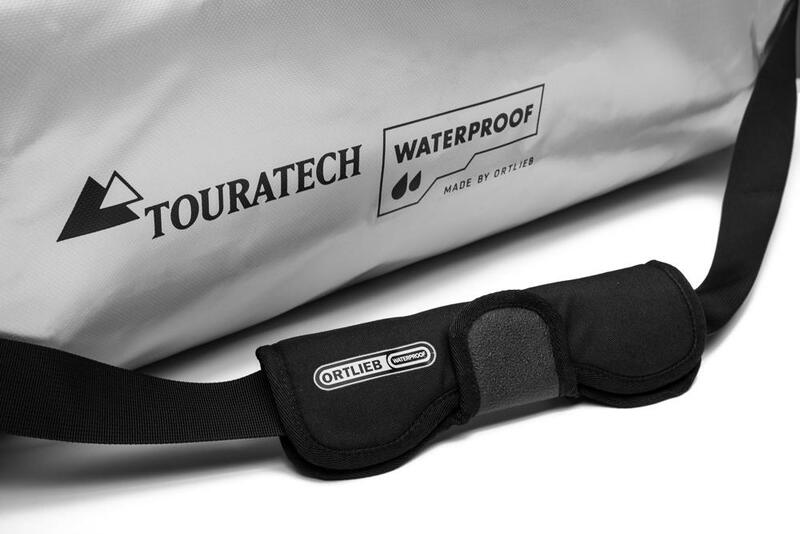 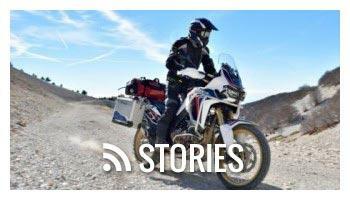 This Touratech Waterproof item features a 5-year warranty covering manufacturing defects.